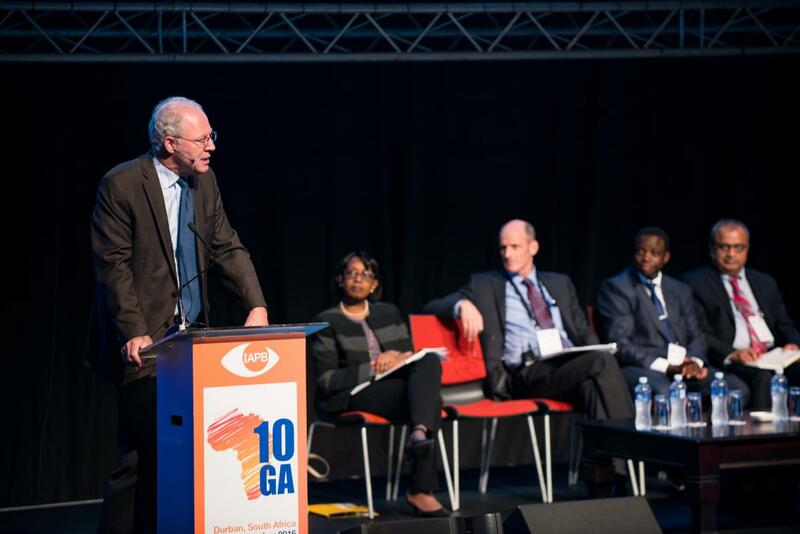 IAPB’s 10th General Assembly (10GA), the premier global event discussing public health issues related to blindness and visual impairment, has been a grand success. Catering to every eye health professional – ophthalmologists, optometrists, other eye health professionals, development and public health experts, key opinion leaders, procurement specialists, CEOs, eye care equipment manufacturers – 10GA brought together 1150 eye care professionals from 100 countries. The GA also had over 60 sessions with 200 speakers and 250 poster presentations over 3 days. The social programmes proved to be great opportunities to network over sumptuous South African food and drink. The event kicked off on the 27th evening with a high-level panel discussion on government and civil society interface. 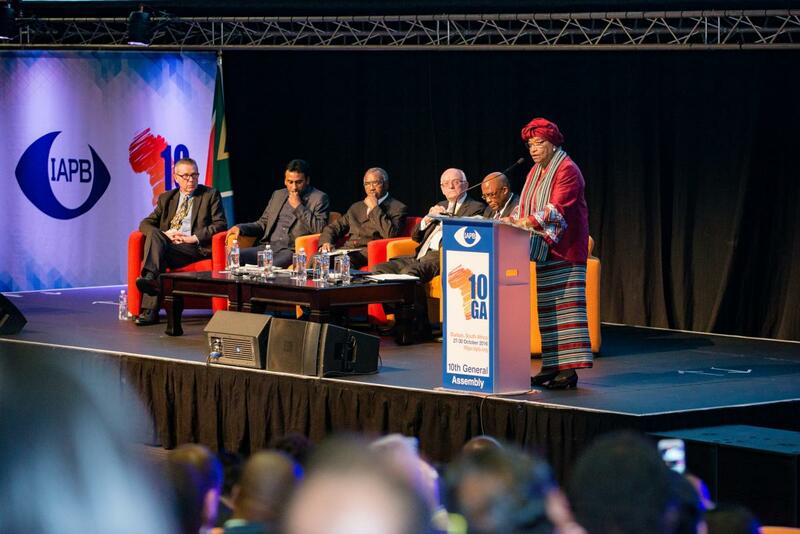 Speakers included the premier of KwaZulu-Natal province and the Minister of Health, South Africa Dr Aaron Motsoaledi. The discussions underscored the common agenda—social welfare and better health outcomes—and that the best means of achieving them was by delivering universal health coverage. 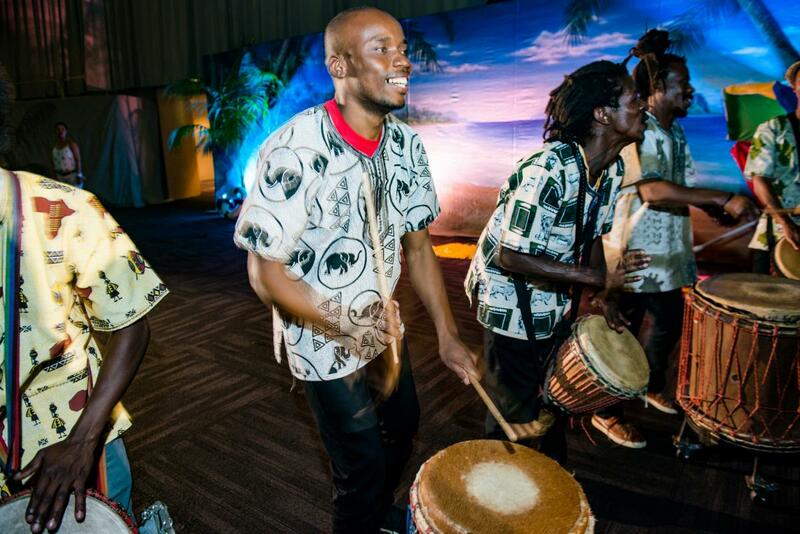 They then gave way to the formal Opening Ceremony, which was heralded by a flurry of West African percussion. ‘MC-ed’ by IAPB Vice-President Victoria Sheffield and opened by the President Bob McMullan, the highlight was the inspirational Ellen Johnson Sirleaf, the President of Liberia. She noted that poor countries continue to bear more than their fair share of the health burden and described her own country’s heroic efforts to manage the Ebola outbreak. She urged the sector to embrace a decentralized approach to health interventions, and wished the delegates to, “leave this event with a greater commitment to end avoidable blindness”. The opening ceremony also marked the launch of the IAPB Vision Atlas—a compendium of the latest data on prevalence and GAP indicators—by Peter Ackland, IAPB CEO. Bob McMullan also gave out the IAPB Awards at the close of the ceremony. The evening ended with a beach-themed welcome reception at the Durban Convention centre, replete with sand art, good food and boisterous greetings among the delegates. The first day of the GA began with breakfast sessions on DR and ‘Our Children’s Vision’. 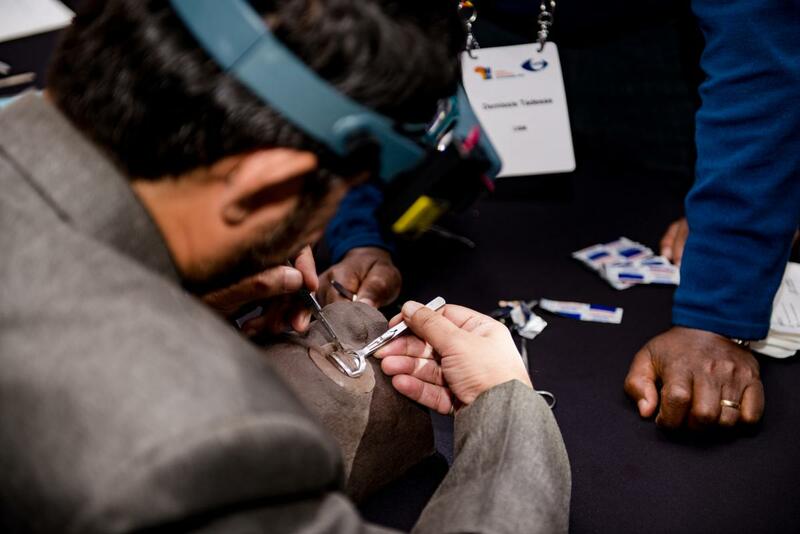 The first symposium focused on addressing the critical shortage in eye health workers in Africa. 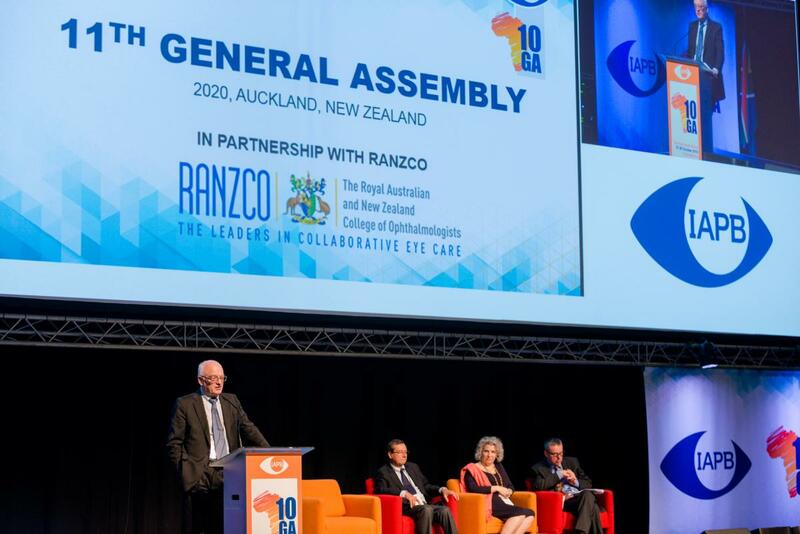 Speakers included Dr Matshidiso Moeti, Regional Director, WHO AFRO and the presidents of African professional bodies of ophthalmology and optometry. “The panel of speakers led by Prof Kovin Naidoo had a lot to say and it was very evident that the burden of global blindness is borne by Africa and incidentally Africa happens to be a place where development is the least in the whole world”. The parallel courses saw delegates split into various sessions, including the first free paper session of the event. 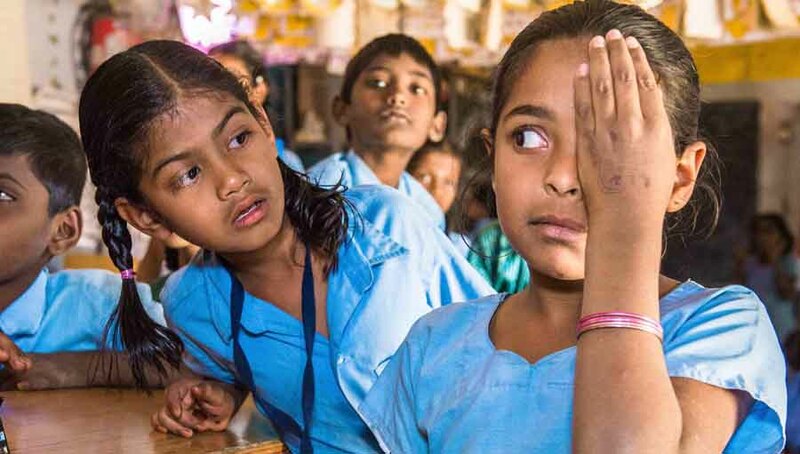 The course on Myopia emphasized that it is a huge emerging public health issue, but there is a role for community level interventions to manage this global burden. Day 1 also had two courses focusing on Diabetic Retinopathy, the first assessing the huge potential burden of DR & the second on tools & strategies to manage DR in communities – including TADDS, the WHO tool for assessment of DR & diabetes services, with speakers emphasising the importance of working with diabetes departments. The afternoon included a clinical session on trachoma with a live demo of trichiasis surgery on a mannequin. Day two began early, with breakfast sessions on Human Resources for Eye Health (HReH), Low vision and refractive errors. The symposium on SDGs and UHC was well-received, with speakers including Tim Evans, who made a powerful case for financial institutions to invest in health. 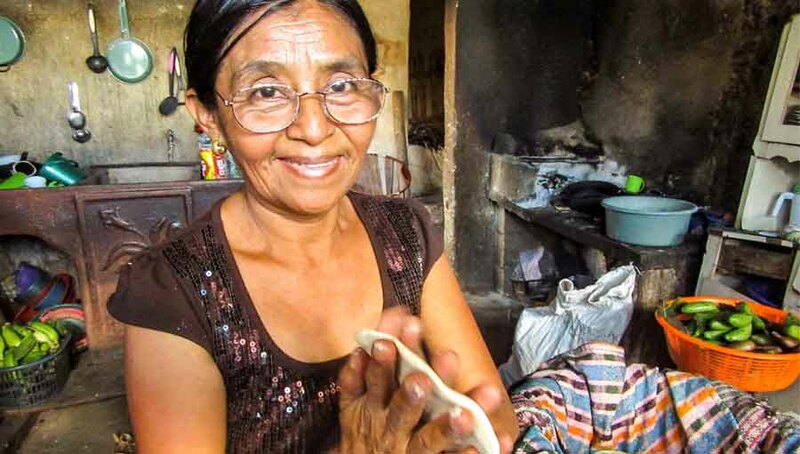 He drew from the World Bank’s own example of getting involved in Onchocerciasis elimination and its impact on their approach. The sessions included an innovative session by Orbis on childhood blindness—replete with slushes, candy and more! 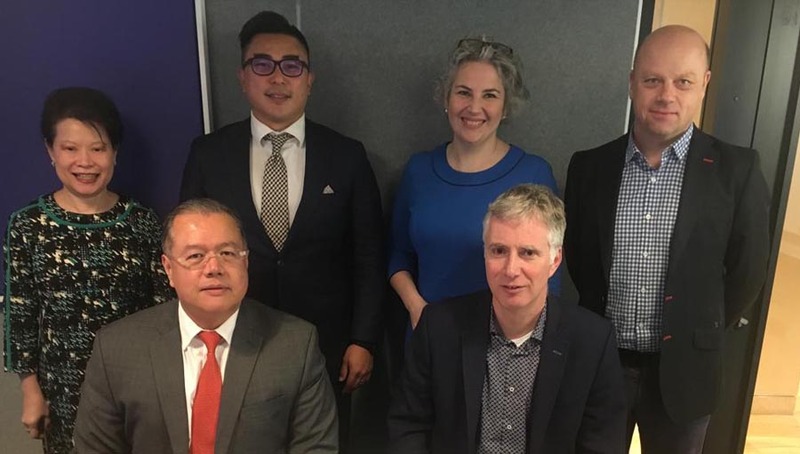 The Inclusive eye health course run by CBM encouraged people to think about how we can make services accessible to people with disabilities, so we are not leaving any groups behind. Day three—the final day—saw some thought-provoking discussions on closing the gender gap and volunteering. The gender breakfast drew on people’s experiences & looked at strategies to support women in the workplace within the eye health sector. The symposium on GBD and ‘ageing’ was a clear highlight and the interest in the courses on the last day never lagged. 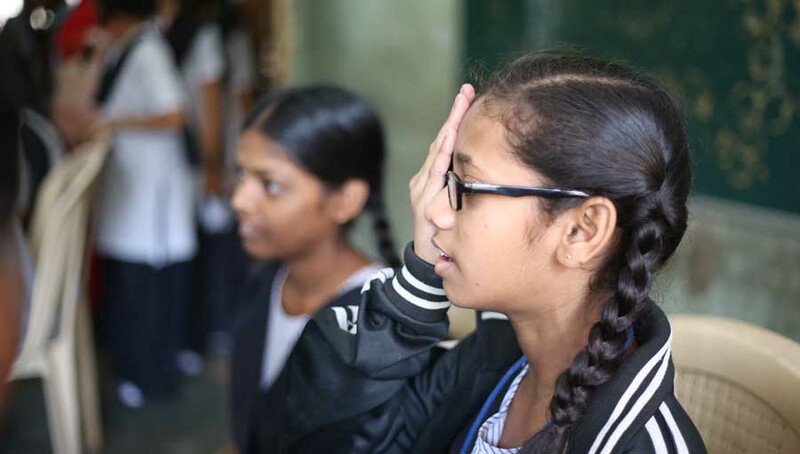 In the equity & eye health course, participants were challenged to think about their interventions reaching all – both women & people with low income, as well as how services can be made accessible for these ‘difficult to reach’ groups. The low vision course (and breakfast session on Day 2) highlighted some great new tools, the WHO Tool for the Assessment of Rehabilitation Support Services (TARSS) and the IAPB Standard List for Low Vision Services, with speakers discussing their experiences with both. On all days, the coffee/tea and lunch breaks saw short sessions on a variety of topics at the IAPB Pavilion. The footfall never slackened over the three days, including at the exhibition stalls and the Poster boards. 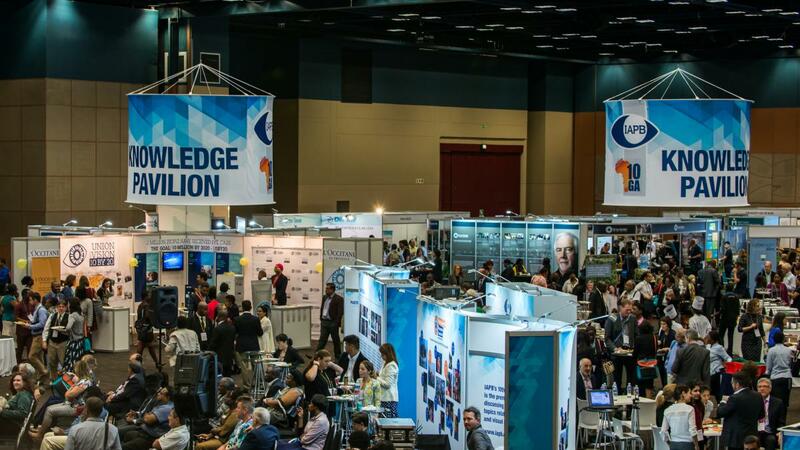 The cavernous exhibition hall with the posters, exhibitors and the refreshments meant that everybody congregated there and it became a hub for networking; new partnerships were forged and plans hatched seemingly at every table. The Central hub here was the IAPB knowledge Pavilion and their snappy presentations, which drew in the crowds over lunch and tea; one could pick up snippets of information from a huge array of subjects while you ate. 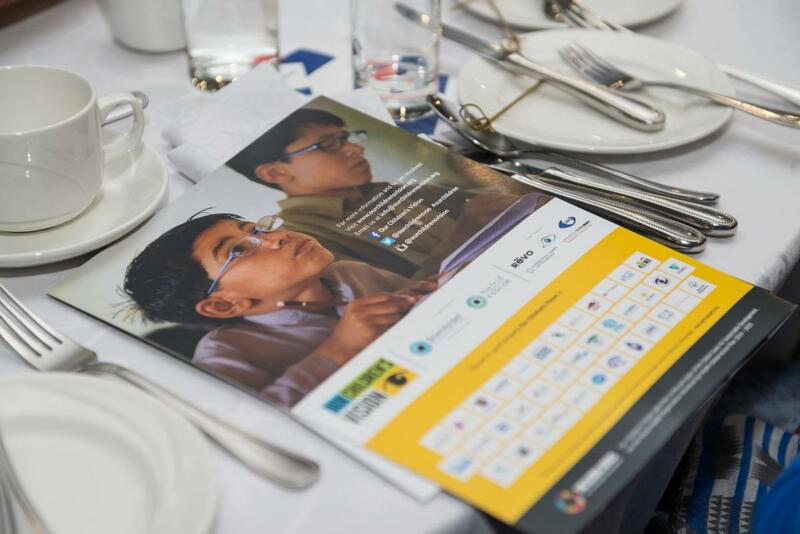 The last day also saw the ‘Celebration ceremony’, with some moving speeches by Petronella Nichols, Brien Holden Vision Institute; Maureen Cavanagh, Vision Impact Institute, Lene Overland, Orbis Africa, Babar Qureshi, CBM and Adrian Hopkins, MDP. IAPB had been running a Photo competition over the year, ending on World Sight Day in October 2016. 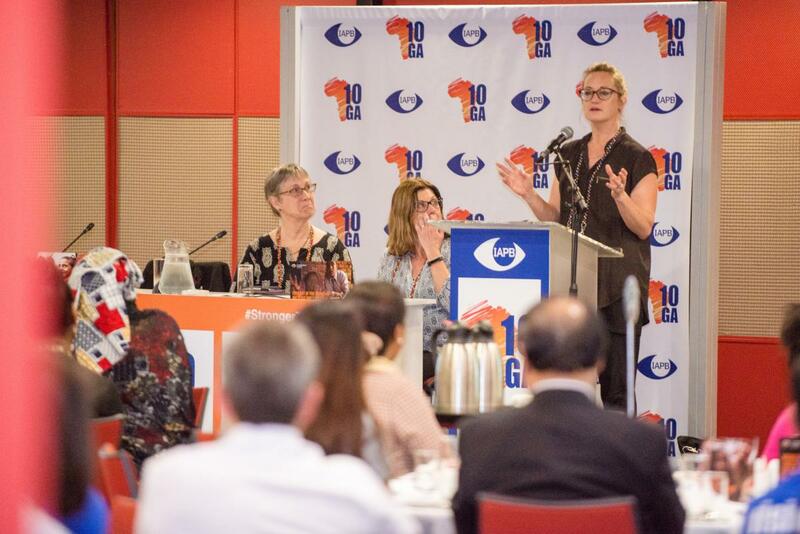 Delegates had voted for winners in the pro and amateur categories over the three days, and Michelle Sylvanowicz, Advocacy Manager, Bayer (who had partnered with IAPB for the photo competition) spoke about the need for eye care—even around us—as she announced the winners. This was followed by the popular Eye Health Heroes initiative. With the General Delegate of L’OCCITANE Foundation Charlotte Bonnet (and the CEO of L’OCCITANE South Africa) presenting all the heroes a certificate and a small present from L’OCCITANE. The evening also saw the celebration of a key advocacy milestone: Liberia, Zambia, Burkina Faso and Sierra Leone committing to promote Universal Eye Health. This was marked with an arresting acapella performed by the Uthando choir to a standing ovation from the delegates. Thank you for helping to make this event a great success. Videos and photos from the event are accessible from this page; we will be adding more material, when we are ready to share them with you. IAPB would like to thank Maximize Your Time (MYT), the event management company and the Programme Partners and Eye Health Investors who helped bring the event to all of you: Brien Holden Vision Institute, CBM, Orbis and Mectizan Donation Program; Bayer, Helen Keller International, International Council of Ophthalmology, Lions Clubs International Foundation, L’OCCITANE Foundation, Seva Foundation, Standard Chartered/Seeing is Believing and Vision Impact Institute. IAPB would also like to thank all the exhibitors and partners, and local staff for their support. Last, but not the least, thank you to the Durban Convention Centre, the KwaZulu-Natal Convention board and the South African tourism board for their hospitality and unstinting support towards the success of the event.